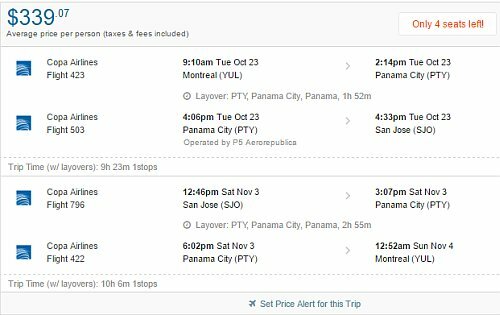 COPA Airlines has dropped the price of a few more flights from Montreal to San Jose, Costa Rica down to $335 CAD roundtrip including taxes. There are only a handful of date combinations with fast flights in both directions. You usually require a lengthy layover in Panama City either on the way down, or on the way home. Dry season dates are available. 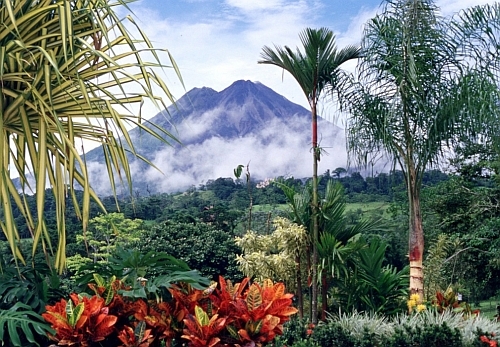 montreal, yul, flight deals, central america, costa rica, liberia, lir and copa airlines.